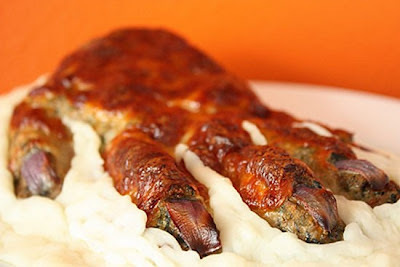 Meat hands by martha from notmartha.org really frightening me, it's really creepy. 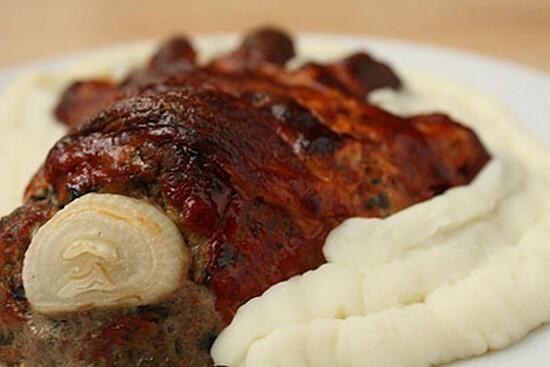 maybe this stuff was perfect for the halloween party a week ago. 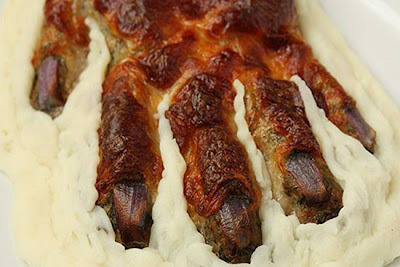 Despite on his creepy appearance i think this meat hands must be delicious such as this zombie bread on thailand that we post several years ago. Martha uses a meatloaf with cheese on its top, she uses an onion as this creepy meat hands nails and wrist bones. 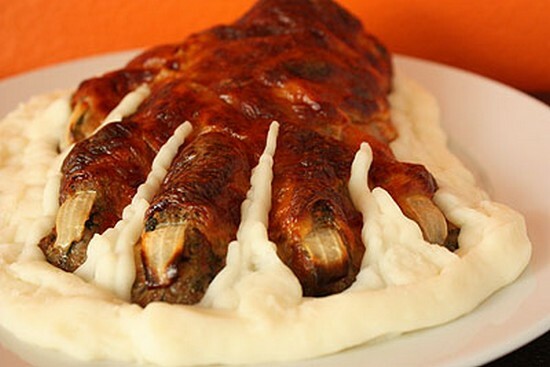 Want to know the recipe and the step of How to make a creepy meat hands? Do you wonder how to made this creepy meat hands? 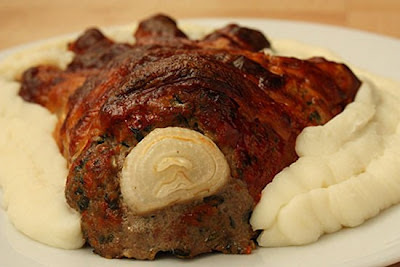 she uses a hand gelatin molds, and then she fill the meatloaf on the mold details, 2 pounds of meat will make two creepy and delicious hands. then she sprayed the inside of the mold with the cooking oil spray, and put it on a rack to allow the fat to run off as it cooked. 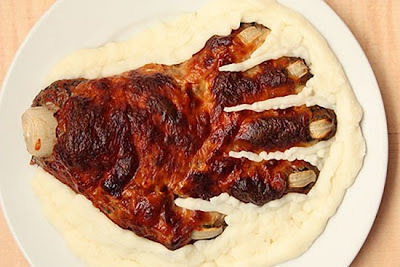 You can visit her blog to see the complete recipe and tricks to made this creepy culinary art. 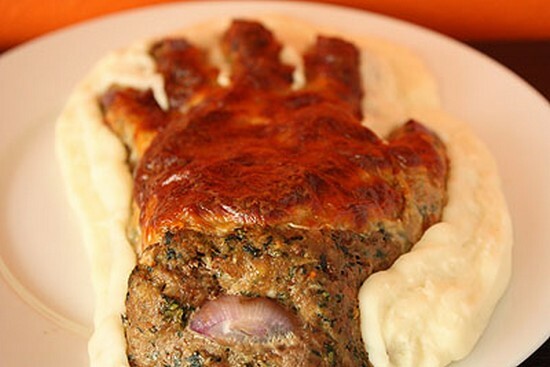 And here's several pictures of the creepy yet Meat hands.